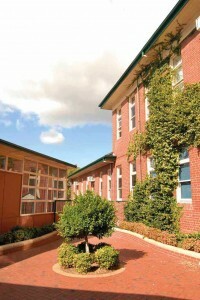 The Mordialloc College Council consists of seven elected parent representatives, four elected Department of Education and Training (DET) employees, the Principal and two co-opted community members. (f) promote the image of the school. The School Council meets at 5:00pm on a Thursday, twice a term. Parents may discuss their child’s progress and/or behaviour at any time with the Year Level Coordinator. Any question of school policy should be discussed with the Principal. Parents are asked to phone the College (9580 1184) to make an appointment and, on arrival at the school, to call at the General Office where staff will locate the appropriate person. Parents are encouraged to have contact with teachers on a regular basis. Interim reports at the end of Terms 1 and 3 and the end of Semester 1 and 3 detailed subject-based reports are all accessible to parents and students via the Compass log in. In Years 9 to 12, parent/teacher Interviews are held in the last week of Term 1. In the second week of Term 3, a VCE parent/teacher Interview night is held. Information will be sent home regarding date and times in the last week of Term 2. In Years 9–12, Student Led Conferences are held in the last week of Term 3.